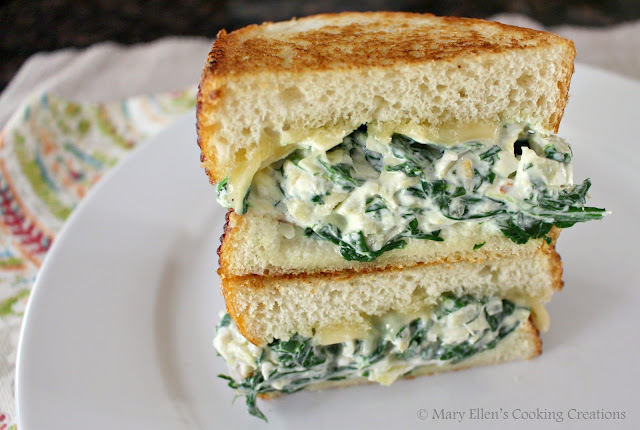 favorite party dip in a sandwich. My weekday lunches usually consist of a big salad, a bowl of homemade soup or a healthy, homemade wrap. On the weekends I'll splurge a bit, especially on lazy days with nowhere to be but home. I love a good grilled cheese sandwich, but wanted something more decadent, something cheesier and messier. My spinach-artichoke dip is so freaking delicious, and has inspired other recipes like these stuffed shells, so why not turn it into a sandwich? Thick sliced bread is a must for this. 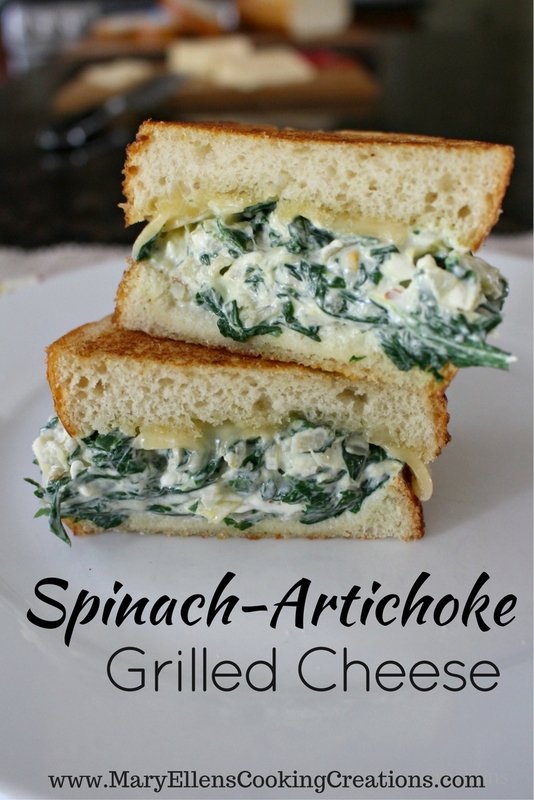 The outer layer gets buttery and crisp when grilled, while some of the bread stays fluffy and soft, soaking up all of that cheesy goodness. 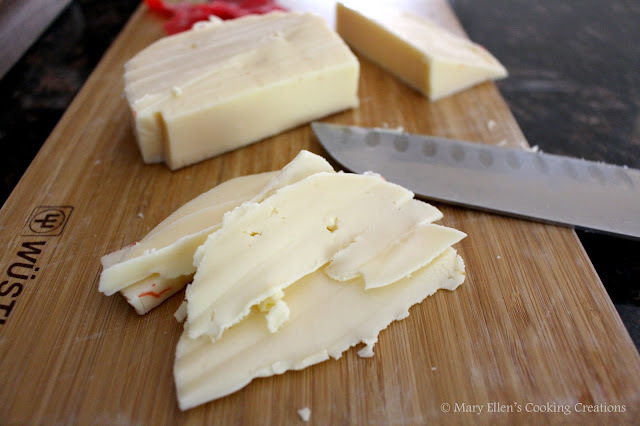 In addition to the creamy dip, I layered on sliced Fontina cheese, a cheese with a mild nutty flavor that melts fabulously. If you love spinach-artichoke dip, and you love grilled cheese, I promise you will love this sandwich. 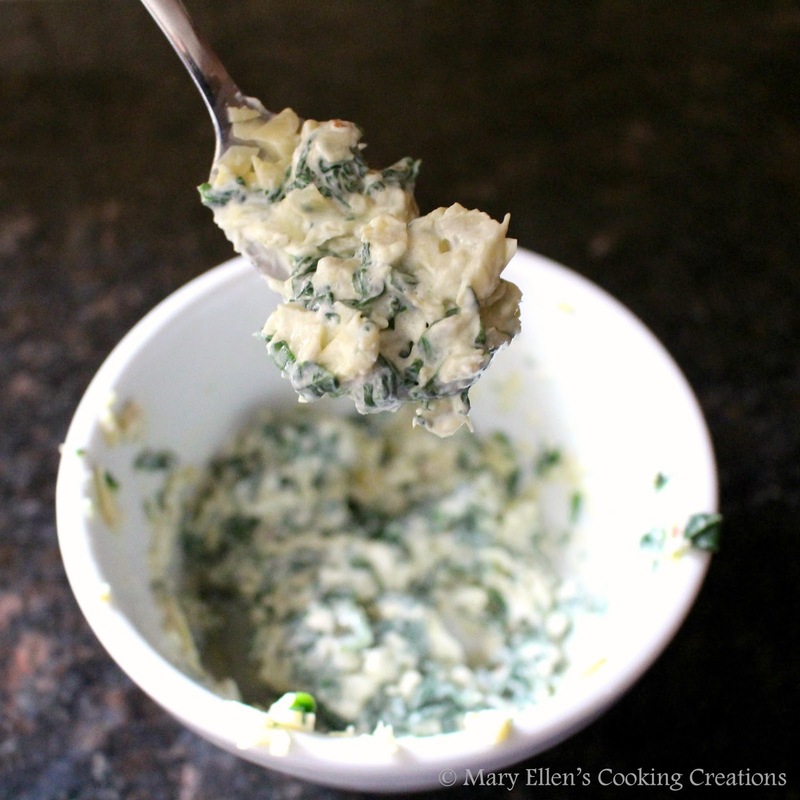 hot and bubbly spinach artichoke spread. Heat olive oil in a small saute pan. 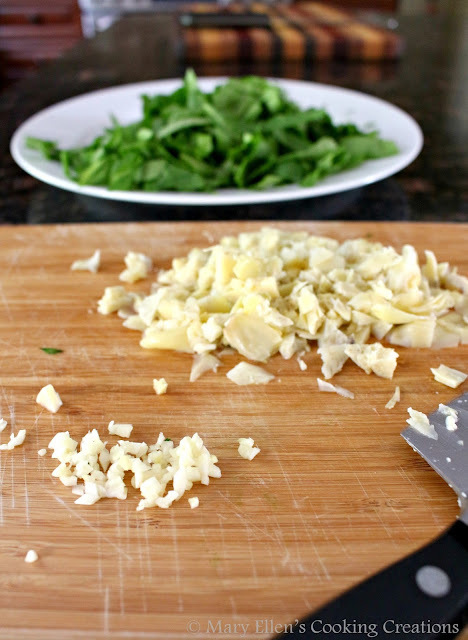 Add the garlic and spinach, season with salt and pepper and saute until the spinach has wilted, about 1-2 minutes. Transfer mixture to a bowl and add the artichokes and cream cheese. 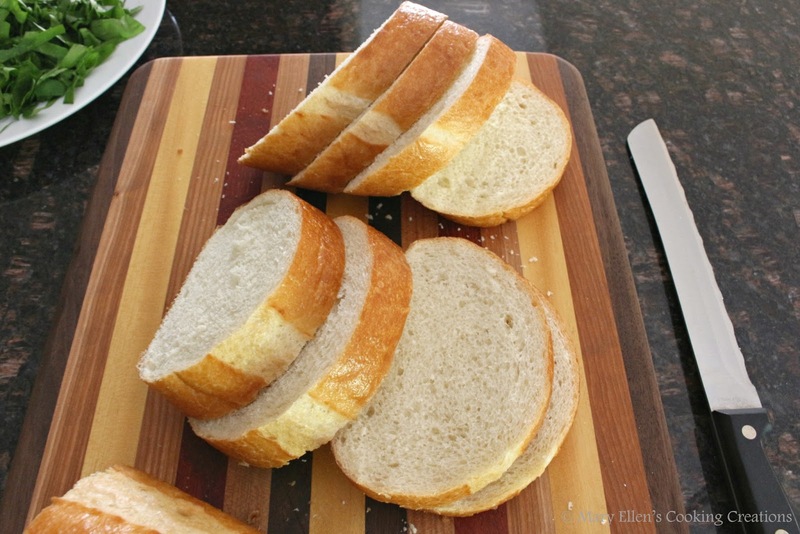 Stir until completely mixed.Spread one side of each slice of bread generously with butter. Heat a large griddle/grill pan. Add 2 slices of the bread, butter side down. 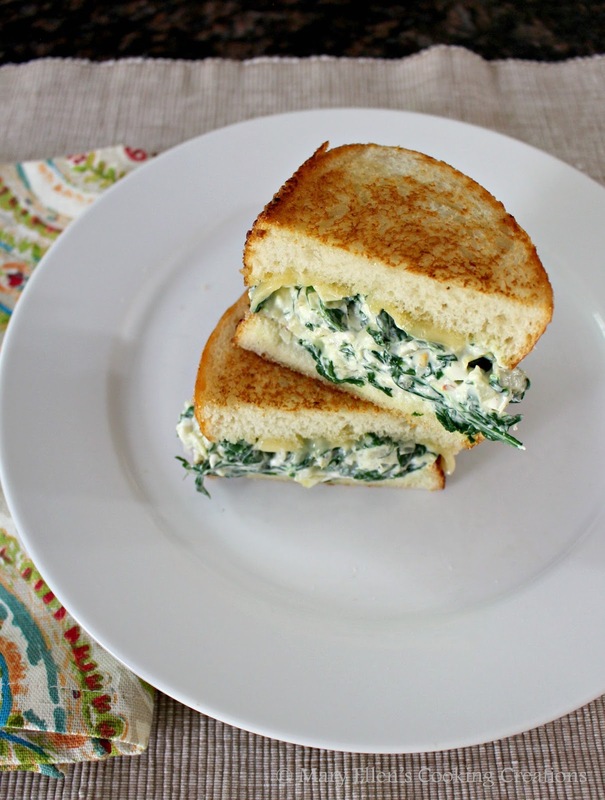 Top each slice of bread with half of the spinach-artichoke mixture followed by 2 slices of Fontina cheese, and then put the other slice of bread on top, butter side up. Grill until browned, about 3 minutes, and then flip and cook until browned. Slice and serve.